Thirsty Pilgrim: How to Make the Westvleteren Pilgrimage Without a Car. How to Make the Westvleteren Pilgrimage Without a Car. I write about Westvleteren every now and then. It might be because I see the same questions over and over, thus I see shining opportunities to serve the greater public. Or maybe it's a shameless way to drive up my hit count. You decide. Just in case you don't know: Westvleteren is a village in West Flanders. It is also the site of a monastery. 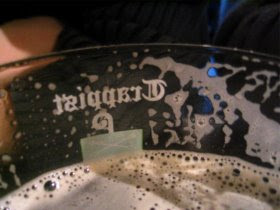 It is also the name of a beer. That beer is made at the monastery, and thus is a Trappist beer, which is part of what makes it special. The fact that it really is a great beer also helps a lot. But the two things that make it the mostest specialest are (1) it is hard to get, since the monks don't want anyone else selling it, and (2) a lot of people think they have to have it because they heard it's the "the best." Some people will do anything just to have the "best." Question: Is Westvleteren "the best"? Answer: No. That would be fresh Saison Dupont. 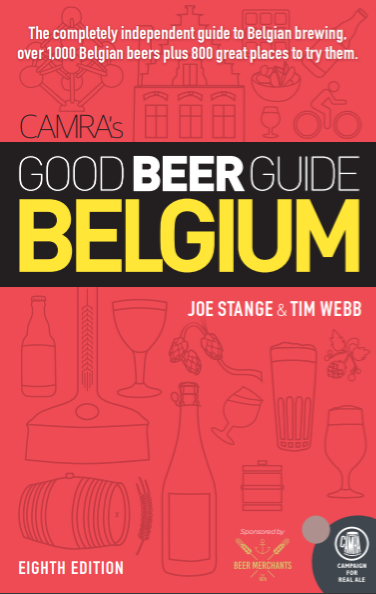 Now, to the main issue which I intended this post to address: If you are visiting Belgium and don't want to rent a car (nobody should have to drive in beer paradise, should they? ), how can you get to Westvleteren? Here's how: Take the train to nearby Poperinge. Then either bicycle, Belbus or walk. For those looking to rent bicycles, here are a few options in Poperinge. I've heard it's a pleasant (and flat) ride that becomes a memorable life experience for many who visit Belgium. See the map below. The Belbus, meanwhile, is a shuttle service run by the Flemish public bus authority. It's very nice if you plan at least three hours ahead. Just call +32 (0)59 56 52 56 and tell them where you'd like to be picked up and dropped off. They will almost definitely speak some English. There's a stop just outside the abbey. The cost is the same as other De Lijn buses... At the moment I think it's €2 per person per ride if you're buying from the driver. For more details, see the late great John White's page here. Finally, you can have a nice long walk. Google Maps says it would take an hour and 17 minutes to walk the 6.4 km from Poperinge station to Sint-Sixtus. Remember that you can't get beer from the abbey unless you have a reservation. See this post on how to get one. Otherwise, you have a decent shot at buying a six-pack in the café, In De Vrede, where you can also sit and drink it to your heart's content. May I add that while in the area, a visit to Ypres is worthwhile - if for no other reason than to pay respects to the 55000 Commonwealth soldiers from World War I who have no known grave, their memorial being the Menin Gate. Good post...I'm sure I'll be using this info someday. Right on about Ieper, Al. Nice town and the WWI sites are fascinating. Shame that Ter Posterie closed a couple years ago, though. It was a good restaurant with a long beer list. Thanks for the note, Alexander. Posterie was a real loss, but it's nice that beery things are happening again in Ieper. De Vauban, for example. I loved Ieper when we were there over the holidays - just for a morning, but what a beautiful place! The Cloth Hall was simply magnificent, it seemed the most popular beer there was SAS Pils - kind of ironic given the military history of the town. The SAS Pils is all right as Belgian pilses go. I've been thinking of doing an article on Belgian lagers, most of which are better ignored. One of the best ones is served quietly here in Brussels at just one place... I'll have to post about it soon. Excellent post, Joe! I'm going to Belgium in September (have already been to Brugge in 2004) and was wondering how could I reach In de Vrede without a car. That will surely help, thanks a lot! No, Westvleteren is the best. Is there anyway you know of to make a reservation if I have a rental car that I won't know the license # of until I pick it up? Thanks for the write up! We're going to Belgium over thanksgiving and was wanting exactly what you offered! This is a really helpful post- I'm going to try and rent a bike and bike out there, just to try it at the cafe. Any idea how late the cafe stays open? moment the beer gods were smiling down upon us. We ate great sandwiches, tried all 3 Beers the 8,10,12 & the ice cream made out of beer.what a great time were having here in Belgium thanks for your help in finding this great place where only chosen few who happen to make this journey believe me it's a memorable experience to have you won't forget this special place it's worth it. In the cafe they also sell soap, body gel t-shirts ect all made there. I tried several weeks before to make a reservation but was not successful but you know what that doesn't even matter now. "Otherwise, you have a decent shot at buying a six-pack in the café, In De Vrede, where you can also sit and drink it to your heart's content." I was under the impression that it was on tap at the cafe? Not on tap, but poured from well kept bottles at the proper temperature.